Love farmers' markets and their offerings? We have several in Champaign-Urbana and beyond. Check out our guide to find out when and where you can find one. Farmers’ market season has arrived. It’s time to stock up on delicious fresh fruits and vegetables that have been grown locally — maybe even in your neighbor’s backyard! 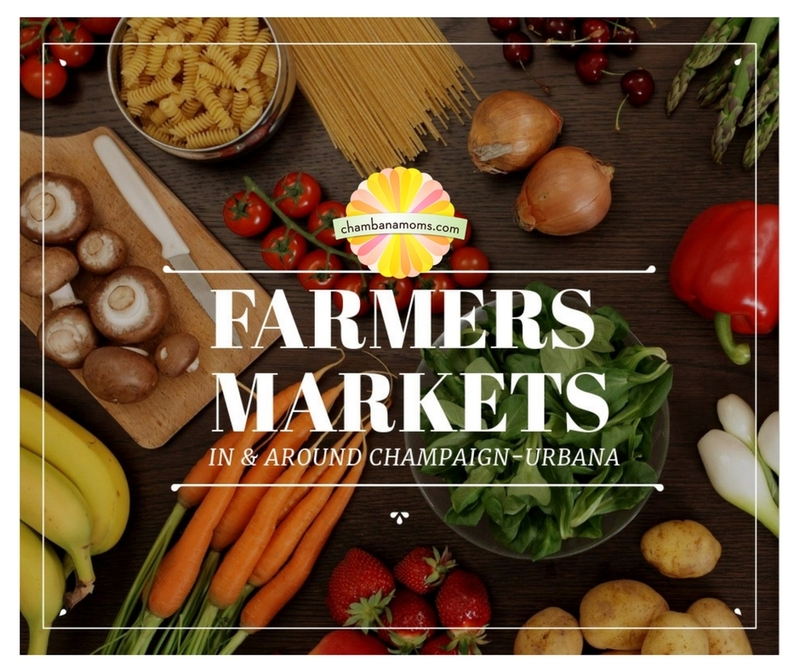 We’ve listed farmers markets in the Champaign-Urbana area and beyond, noting opening dates whenever possible. We will keep adding them so let us know if you we missed your favorite local farmers market! Champaign: The Land Connection Champaign Farmers Market, located in parking lot M at Neil and Main Street in downtown Champaign, is all geared up for another season. Come by every Tuesday afternoon from 3:30-6:30 p.m. from May 15 through October to get your fix of local fruits, vegetables, meats, cheeses, baked goods, flowers and more. Homer: The Homer Farmers Market season will begin May 16 and runs every Wednesday from 5-7 p.m. through mid-September at the Caboose on Main Street in Homer. Urbana (Campus): Sustainable Student Farm begins May 24 on the Quad side of the Student Union from 11 a.m.-4 p.m. Keep an eye here for more details. Monticello: The Monticello Farmers Market opens June 16 and runs every Thursday through Oct. 6 from 3-6 p.m. The market is located at the intersection of State and Livingston Streets in front of Allerton Library. Fresh fruits, vegetables, flowers, “The Peach Lady,” baked goods and more! Paxton: Market on the Market located in Majestic Park in downtown Paxton. Opens May 17 and runs through September from 4-7 p.m. each week. Mahomet: Mahomet Farmer’s Market is on Fridays from 4:00 to 7:00 p.m. running from Memorial Day to Labor Day in the parking lot between the community center and fire department on Main Street. Urbana: Market at the Square at the corner of Illinois and Vine streets in downtown Urbana. Opens May 5 and runs through Nov. 3 every Saturday from 7 a.m. to noon. Check out everything you need to know about the Market at the Square here (from 2016). Danville: Danville Farmers Market at Crossroads Church, 3633 N. Vermilion St. From 8 a.m.-noon on Saturdays beginning May 19. Did we miss your favorite farmers market? Let us know!